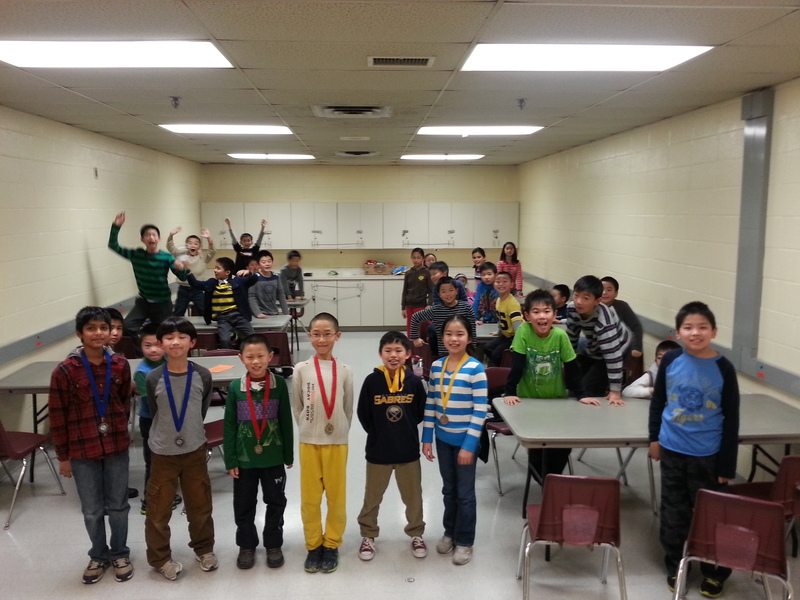 This is a qualifying tournament for the Canadian Youth Chess Championships 2014. Players achieving a score 2.5 or better will qualify to participate in the 2014 CYCC in Montreal, sponsored by Chess Federation of Canada (Subject to approval by the junior coordinator). The 12 CYCC Champions will be on Team Canada as the official Canadian representatives to the 2014 World Youth Chess Championships in Durban, South Africa. Sections with fewer than 6 players may be combined at the TD’s discretion. You could win free entry to OHSCC through the following tournaments. Click on the link, a document will be opened. Seneca Hill Chess Club offers a buy one get one free for Oriole members and Seneca Hill Chess students: After you played in the Stephen Leacock Challenge, you are eligible for one free Sunday tournament at Oriole in May or June. Double chess winners and some other players. Mississauga CYCC Qualifier 2013 is coming up on January 27.